Square Enix announced today the availability of a free Shadow of the Tomb Raider trial on PC, PlayStation 4 and Xbox One. Experience the beginning of Lara Croft’s defining adventure with the Shadow of the Tomb Raider Free Trial. Journey to Cozumel, Mexico in the midst of The Day of the Dead celebrations, where Lara and her trusted friend Jonah must race against Trinity to find a hidden tomb. Immerse yourself in Lara’s newest adventure, and see why critics are calling this a thrilling conclusion to Lara Croft’s origin story. After completing the Shadow of the Tomb Raider trial, those who purchase the game will resume right where they left off, keeping all of their progress and unlocks. Step into the largest, most vibrant world ever created in a Tomb Raider game, filled with more tombs, puzzles, and side quests than ever before. 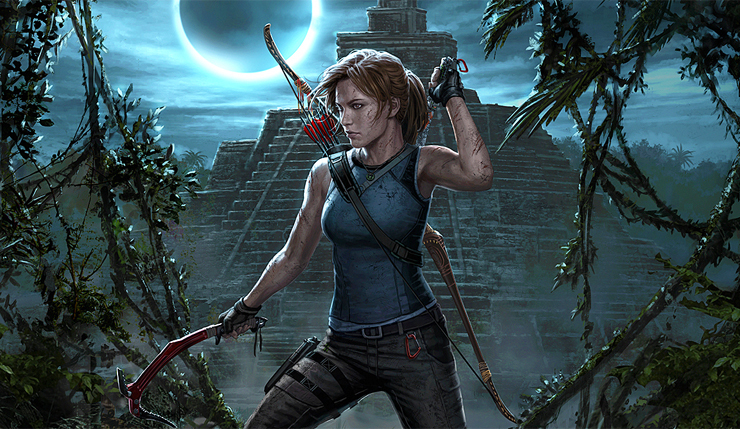 Stop the Maya Apocalypse and become the Tomb Raider Lara was meant to be. Shadow of the Tomb Raider, the third and last chapter of Lara Croft’s reboot trilogy, launched on September 14th. Last month, the developers have released the first DLC, The Forge, which includes the ability to play co-operatively with a friend. It’s included with the Season Pass or available for separate purchase. There are six additional adventures set to be released as part of the Season Pass with a monthly cadence, so we might be due for a new DLC drop soon.